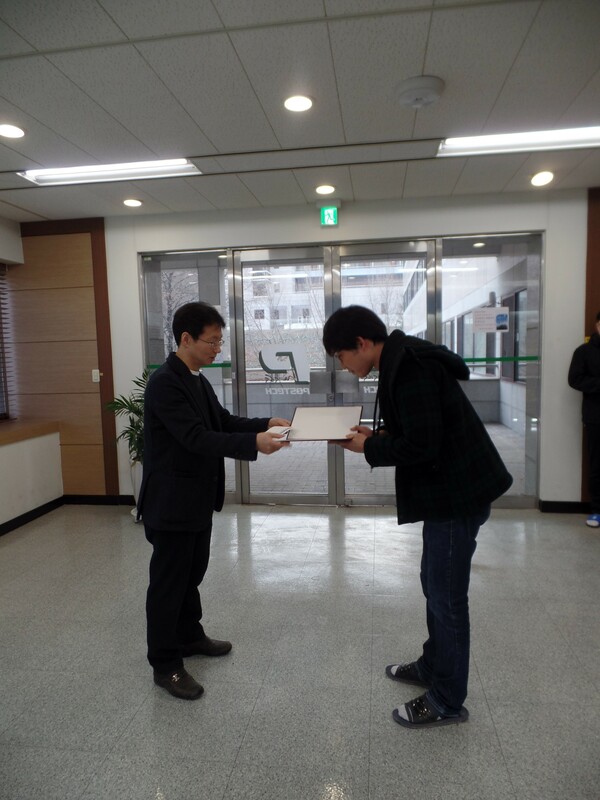 Hyeongpin Kim won the Chang-Lim prize (창림상) for his outstanding academic results in Physics graduate program. Congratulations!! !